Spring is around the corner, but it is still winter. 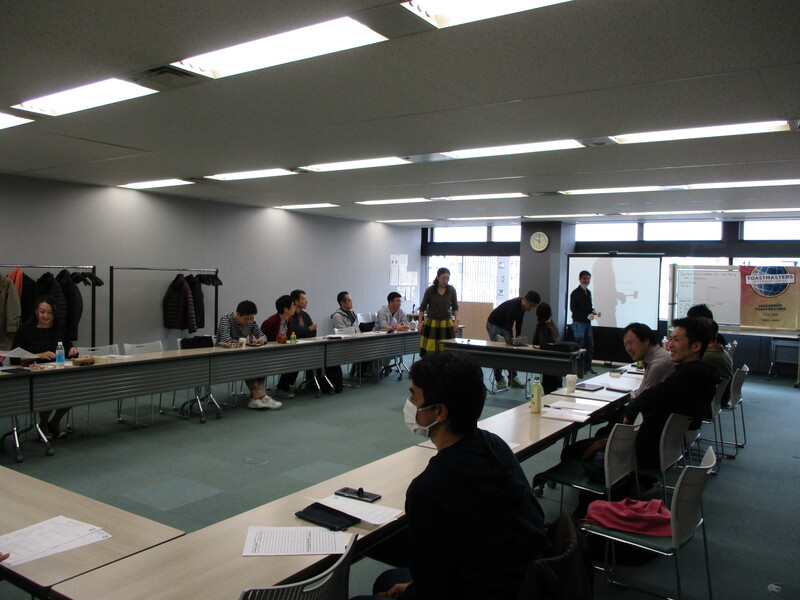 This day was relatively warm, and our th regular meeting was held with attendees and one honorable guest. [Opening] Our president, TM TK called to order. 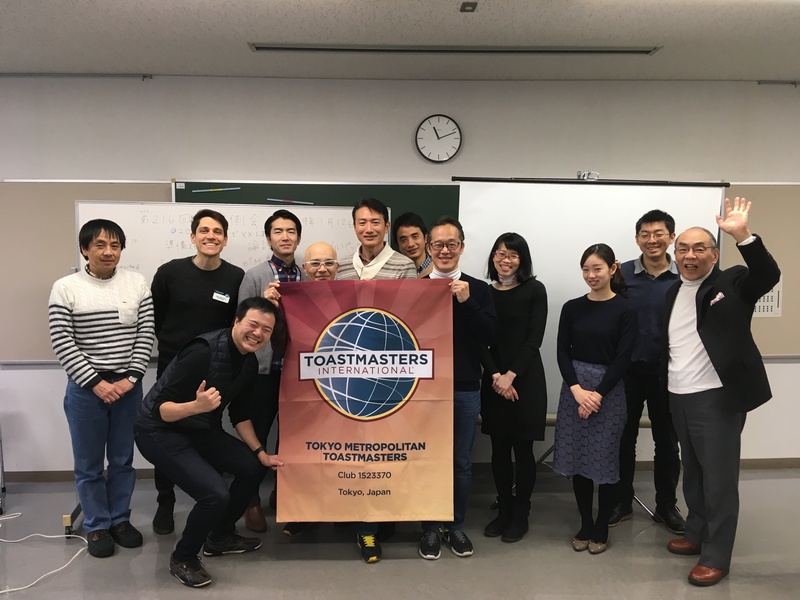 He introduced Toastmaster of the morning(TMOM), which provided by TM HH. She also performed “news of the week” as our original item on the regular meetings. Today’s master of “Good & New” is TM GM. This is also our original item of the agenda, which make all the participants relaxed and warmed up. Second speaker is TM TK, also our president. The title of the speech is “私の長州征伐2018”. 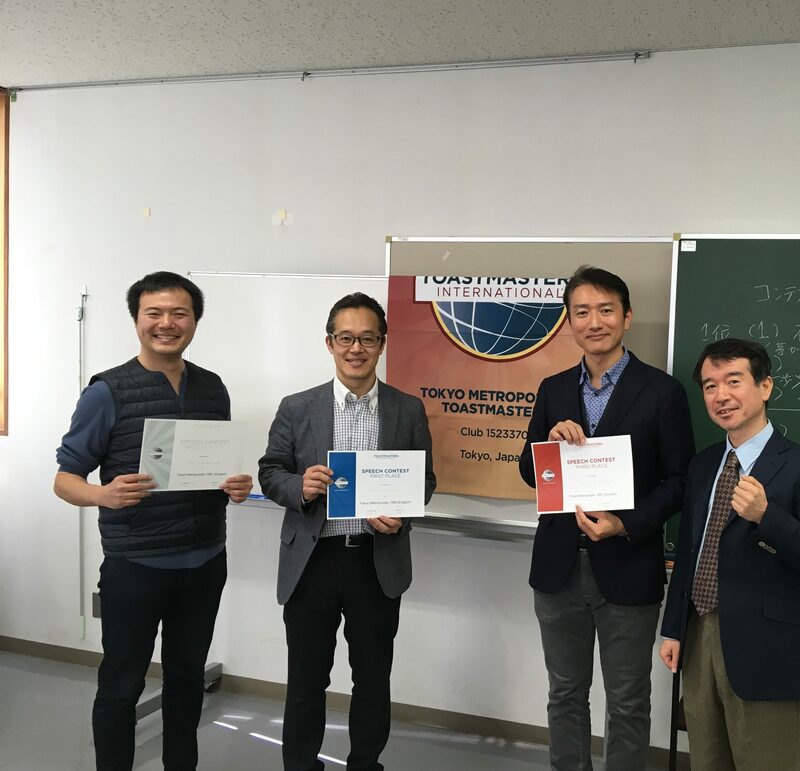 Finally, we welcomed TM SK, the title is “Work style reforms at home”. [Table topics] Next is Table topic session. This is to improve sills for speech improvisation. TM HK was the master of this and he gave us five interesting topics to be spoken as a theme. 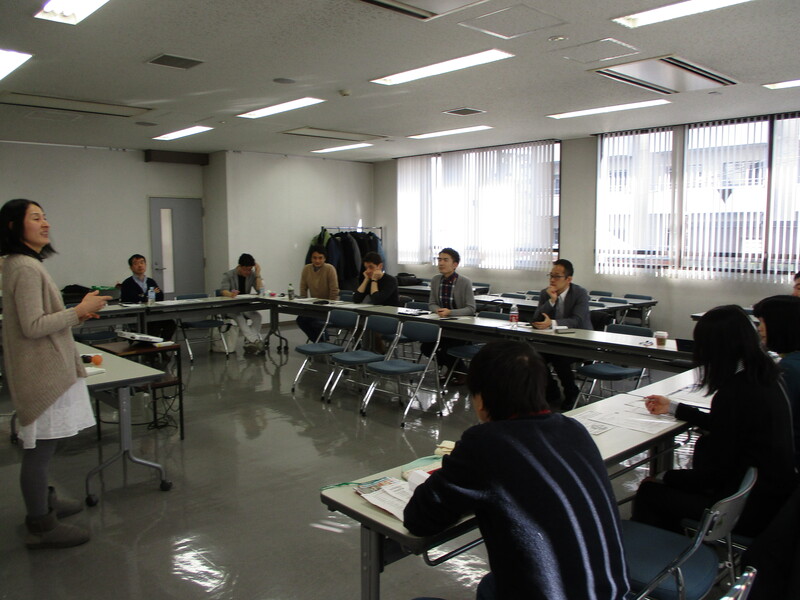 [Evaluation] Then moved to Evaluation session. General Evaluator is YT, and we had three evaluators who execute evaluation for each prepared speaker. 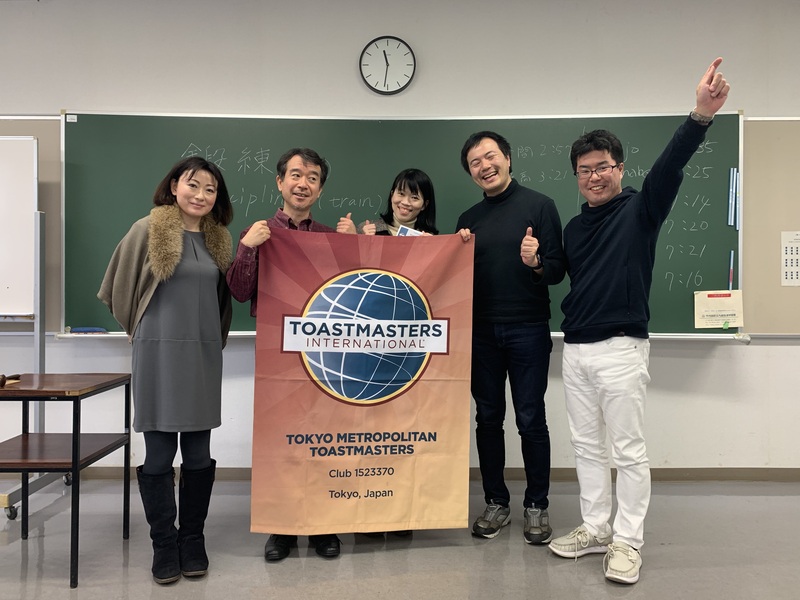 Today we held the last meeting of this year. Firstly, we would like to express sincere gratitude all the attendees of our meeting. We hold meetings on every 2nd and 4th Saturday and welcome your attendance as a guest as well next year! Our president called to order on time and introduced four honorable guests. 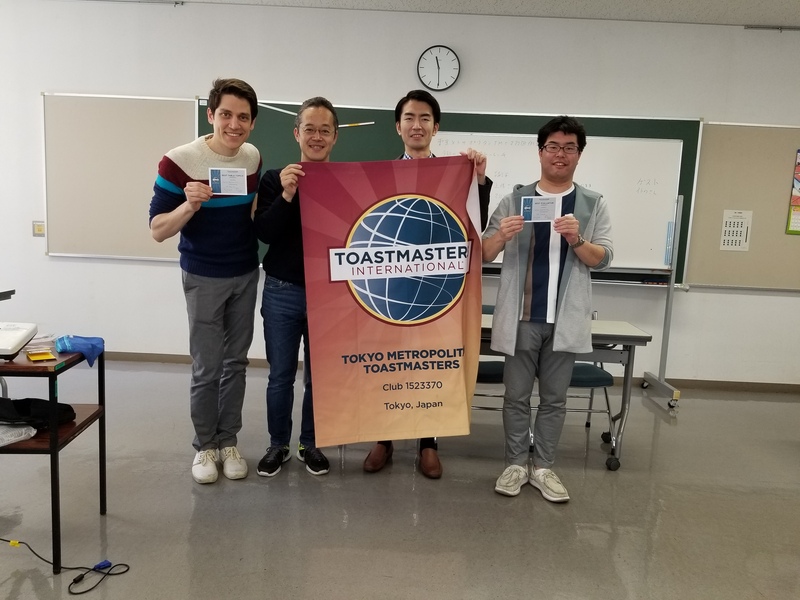 Today’s Toastmaster of the Morning(TMOM) is TM HH. She introduced TM KT as the role taker of “Word of the day” and TM KT shared the word, “celebrate” . Next is “News of the week” and TM SW took this role. He explained the latest movement of cashless remittance such as “PayPay” etc. raised reminder of global social problem such as poverty in developing countries. Japan’s unconditional surrender of the war. and deliver the speech. She presented very smoothly as if it had been well elaborated like ordinal prepared speeches. Today’s table topic master is TM YK. She raised some tips regarding Christmas and assigned three speakers. This section was proceeded by TM JK. She is Korean but fluent on English and Japanese. Four evaluators, TM GS, TM KT, TM SW and TM MG presented each evaluation for prepared speech speakers accordingly. 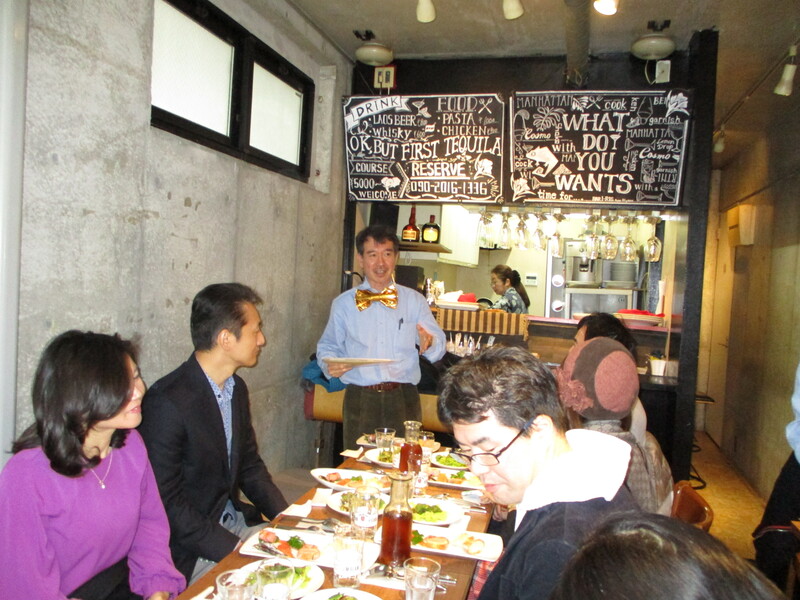 After the regular meeting, we enjoyed special lunch since it was the last meeting of this year. 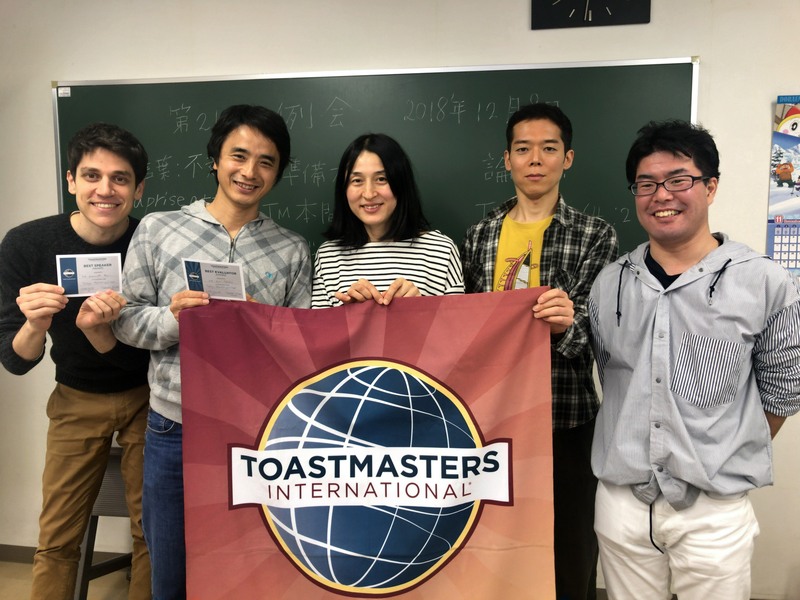 “Speech for Toast”(乾杯の際のスピーチ) or “Speech after finishing a meal”(食後のスピーチ). Details are coming up later, so stay tuned!! Since this day was the midday of three consecutive holidays, we had concerned how many members would be able to attend. Leadership TMC(hereafter, “LTMC”) No.404 regular meeting with us. Leadership Toastmasters club hods meetings every 2nd and 4th Saturday, from 10 AM. The venue was Bunkyo Civic center. LTMC president, TN called to order and introduced today’s Toastmaster of the Morning(TMOM), TM TT. 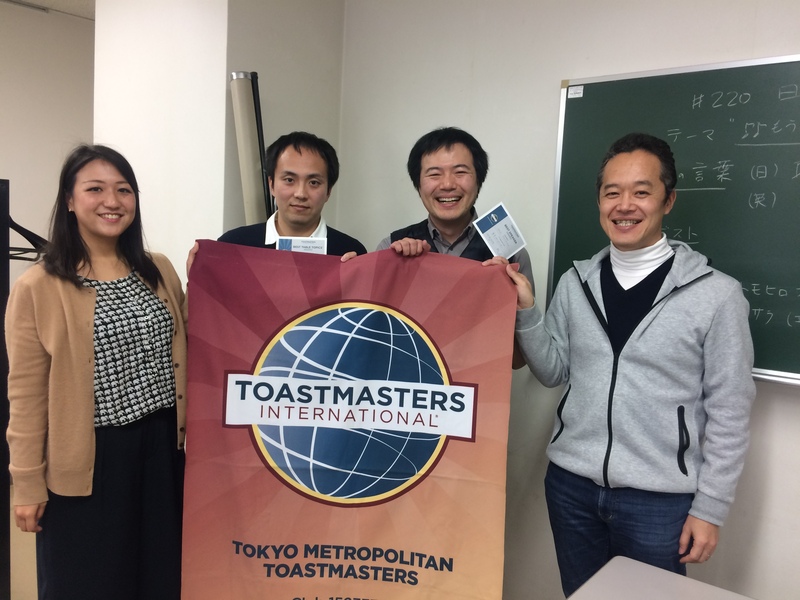 Today’s Table Topic master is TM YS(LTMC) and 5 speakers assigned presented improvised speech. 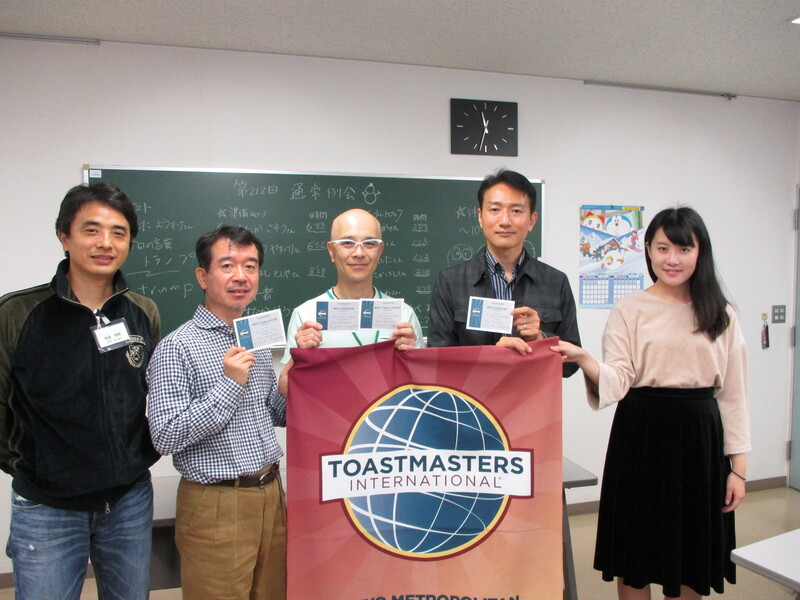 We had 4 prepared speakers today, 2 were member of LTMC and other 2 were member of our club. (hereafter, “TMTMC”). TM TH of LTMC did his very first speech, the ice breaker. TM YK of TMTMC completed all the projects of “Competent Communicator” manual. We would like to express our sincere gratitude to all the members of both club, especially made every effort to arrange this joint meeting.